Summarizing, these are the main Regional Offices and countries where patent protection might be sought. Regional Offices. The regional offices and conventions which cover multiple countries within a continent are as follows. European Patent Office (EPO) – EP European Patents. The EPO rules European patent applications and centralizes in a single procedure the search, examination and grant of patents in 38 European member states of the European Patent Convention (EPC). Once the EP is granted it must be validated in each country and would be treated as a bundle separate national patents, which are subject to specific requirements such as the translation into the official language of each state, the appointment of a local patent agent and to be renewed individually in each country. – Euro-PCT Applications. A European patent with the EPO can be also designated using the international PCT patent route by entering the European regional phase on or before 31 months from the earliest claimed priority date of the PCT patent application or from its filing date when no earlier priority was claimed. The member states of the EPC are: Albania, Austria, Bulgaria, Belgium, Cyprus, Croatia, Czech Republic, Denmark, Estonia, France, Greece, Ireland, Italy, Latvia, Malta, Monaco, Netherlands, Germany, Finland, United Kingdom, Hungary, Iceland, Liechtenstein, Lithuania, Luxembourg, The former Yugoslav Republic of Macedonia, Norway, Poland, Portugal, Romania, Serbia, Spain, Sweden, Slovenia, Slovakia, San Marino, Switzerland, Turkey. – Extension states: Bosnia and Herzegovina, Montenegro. (38 countries). Term of Patent Right: Twenty years from filing date in each validated country. European Patent Office (EPO) – Unitary Patents in the EU. The new Unitary Patent system has recently been approved in the European Union, which was ratified by the majority of the EU-States and entered into force on January 1, 2014. The Unitary Patent system will be managed by the European Patent Office (EPO) and it will provide unitary protection in 25 Member States although the Unitary Patent would coexist with national patents and with classical European patents. The official procedural languages are English, French and German. Some countries of the European Union, such as Spain and Italy have provisionally refused to form part of the system as their languages; Spanish and Italian have been excluded as languages of the proceedings, although these countries may join later. In the same way, other European states, although non-EU countries such as Switzerland, Turkey, Norway, Iceland, etc. would not participate either in this system so these should be designated nationally or regionally. Some of the advantages of Unitary patents are that they will not require validation in each individual member state and the holder will only have to the pay a single and much affordable set of renewal fees to the EPO. The Unitary Patent will be subject to the jurisdiction of the Unified Patent Court (UPC), hence avoiding unnecessary duplication of litigation cases before the various national courts of each of the EU member states. The Unitary Patent package will probably enter into force on 2018. Designation or Regional Phase Entry With the EPO in PCT Applications: It must be entered on or before 31 months from earliest priority, as regards both Chapters I & II. Term of Patent Right: Twenty years from filing date. Eurasian Patent Organization (EAPO) – EA Eurasian Patents. The EAPO, based in Moscow, Russia is the Office that administers Eurasian patent applications. The Eurasian patent system provides a uniform application procedure for natural persons and legal entities to protect their inventions by a single Eurasian patent valid in the 9 States party to the Eurasian Patent Convention (EAPC), making the costs for protecting a Eurasian patent in several countries of this region much reasonable and lower compared to those for obtaining national patent protection separately in each of the aforesaid countries. An Eurasian patent application can be filed in any language, provided that the translation into Russian is submitted at alater stage. The requirements, search and the examination proceedings on patentability under the Eurasian legislation are similar to those adopted by the WIPO’s PCT Regulations, the EPO’s European Patent Convention (EPC) and to the regulations of the most industrialized countries in the world, allowing applicants, the extended or accelerated grant procedure, choosing the countries in which his Eurasian patent shall be maintained effectively, extending the term of validity of the Eurasian patent for certain categories of inventions, among other actions.The countries covered by this Eurasian convention are: Turkmenistan, Republic of Belarus, Republic of Tajikistan, Russian Federation, Republic of Kazakhstan, Republic of Azerbaijan, Kyrgyz Republic, Republic of Moldova, Republic of Armenia. (9 countries). Designation or Regional Phase Entry With the EAPO in PCT Applications: It must be entered on or before 31 months from earliest priority, as regards both Chapters I & II. 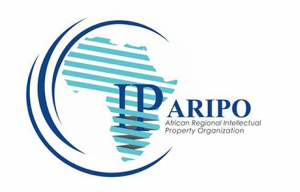 African Regional Industrial Property Organization (ARIPO) – AP ARIPO Patents. The ARIPO, which is based in Harare, Zimbabwe is the Office that administers and grants patents or utility models in its contracting states by a single procedure under the provisions of the Harare Protocol. ARIPO patent applications must be requested for one or more of the contracting states. ARIPO is a member of the Paris Convention, being possible to file independent applications claiming priority within a one-year-period. 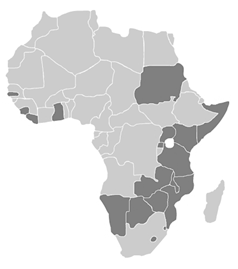 The English speaking countries of this African convention are:Botswana, Ghana, Gambia, Kenya, Lesotho, Liberia, Malawi, Mozambique, Namibia, Rwanda, Somalia, Sudan, Sao Tome e Principe, Sierra Leone, Swaziland, Tanzania, Uganda, Zambia, Zimbabwe. (19 countries). Designation or Regional Phase Entry With the ARIPO in PCT Applications: Yes, must be entered within 31 months from earliest priority, as regards deadlines of both Chapters I & II. Type of Inventions: Patents and utility models. Term of Patent Right: Twenty years from the filing date, in each designated country. African Intellectual Property Organization (OAPI) – OA OAPI Patents. The OAPI, with headquarters in Yaounde, Cameroonis the Office that administers and grants patents or utility models by a single procedure under the provisions of the Bangui Agreement in all member states. An OAPI patent application will automatically cover all member states, so it is not possible to designate only some of the countries of interest. 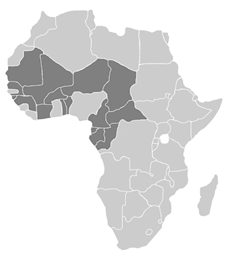 The French speaking countries covered by this African convention are:Benin, Burkina Faso, Central African Republic, Chad, Congo, Comoros, Côte d’Ivoire, Cameroon, Gabon, Guinea, Equatorial Guinea, Guinea-Bissau, Mali, Mauritania, Niger, Senegal, Togo. (17 countries). Designation or Regional Phase Entry With the OAPI in PCT Applications: Yes, must be entered on or before 30 months from earliest priority, as regards both Chapters I & II. The Gulf Cooperation Council (GCC) – GC GCCPatent. 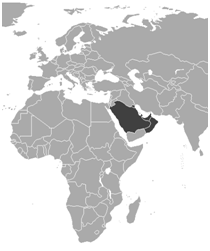 The Gulf Cooperation Council is a regional cooperative organization of the six oil-producing countries in the Middle East/Arabian Gulf region.GCC Patents are administered by the GCC Patent Office, located in Riyadh, Saudi Arabia, providing applicants a patent protection simultaneously in this common market formed by six countries. Designation or Regional Phase Entry With the GCC in PCT Applications: Not possible. This regional Office cannot be designated by the Patent Cooperation Treaty (PCT) and even ifall countries, except Kuwait, are part of the PCT individual national offices, these should be effectively protected using the national route in each, separately. The GCC patent is not party to the Paris Convention, nonetheless anyone claiming priority within one year from their first foreign application, can validly file a patent with the GCC Patent Office. How Abecsa Can Help You. We can act directly on your behalf for all matters to be handled before the European Patent Office (EPO) or we can coordinate the filing and prosecution of regional and national Patent applications directly in the countries or territories of your choice through our local associates. Protecting your patent regionally or nationally in multiple countries. Validating your granted European patent in Spain. Entering your PCT patent into regional phase in any regional Office. Defending your challenged regional or national patent, from oppositions or appeals. Revising and/or amending your patent draft by our engineer. Opposing a European patent filed by others. Taking legal action against another person or company who is selling or commercializing your invention in Spain or in Europe without your consent. Translating your patent specification into a required local language. Licensing the use of the invention or selling your patent ensuring the assignment to other person or company. Confidentiality. If the first filing of your invention through any of these regional or national offices, it is important that you do not disclose the technical characteristics of your invention before you apply for patent protection, this may mean that you cannot patent it, or your patent may be declared invalid by anyone who proves this preceding disclosure (lack of novelty or inventive step). However, you can safely discuss it with us, because as registered patent attorneys and lawyers, any information you disclose to us is legally privileged and confidential, using it strictly for the purpose or needed service we are instructed to handle in your name.